Once in a while you find an artist that stops you in your tracks with the sheer beauty of their art and makes you wonder why they don’t have a much greater audience than they do. Little Sparrow is such an example, fighting her way through the mud of singer/songwriters with band that seem to be clogging up gig schedules around the country at present. Little Sparrow is Katie Ware who has history in this music business with an all girl rock group Daze and as Jamie Harding’s replacement in Marion / Headway. From there she made the break to go it alone, albeit with a team of accomplished musicians in guitarist Johnny Lexus, violinist Graham Clark, cellist Sarah Dale and percussionist/drummer Mitch Oldham. Appearing solo or with various combinations of the above, she’s built a burgeoning reputation around Manchester and the North West with the songs that make up this beautiful debut collection, Wishing Tree. Like all debut albums, it’s a collection of songs to date, so they date back a few years to The Hunted, through established live favourites Sending The Message and By My Side to more recent songs Wishing Tree and Struck Gold. Whilst they’re written over a three-year period, they fit together perfectly. The songs are all beautifully crafted from the songwriting through to the crystal clear production, which allows not just the range and depth of Katie’s voice to shine through but also for the precision of the musicianship of the band to draw the listener in. Katie’s vocals are enveloped by a flourish of guitar, a dash of cello or a violin swirl as well as her own simple plaintive acoustic guitar. Unlike many albums of this genre, there’s no unnecessary clutter in the songs, just simple beautiful artistry, emotional lyrics which can be easily related to and which resonate through the vocals. Whilst not all autobiographical, there’s a nod in most of them to things anyone can relate to. To add more to the songs would actually detract from them. 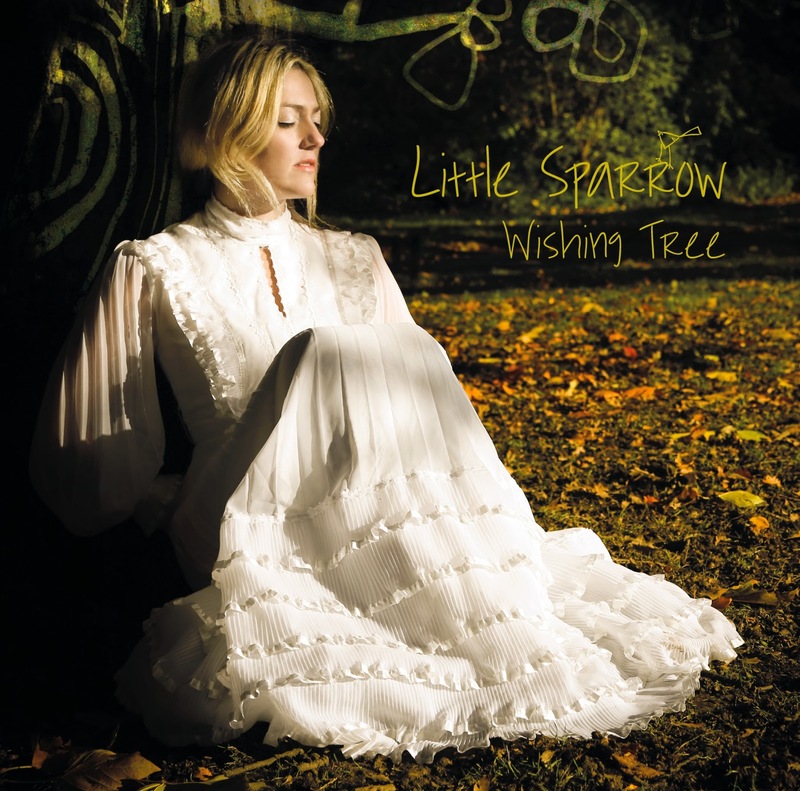 Contrary to most debut albums, Wishing Tree perfectly captures and distils the essence of Little Sparrow’s live show and raison d’etre. Whilst she’s not yet gained the recognition she ultimately deserves, once you’ve listened to this album or seen one of her captivating live shows you can’t fail to be hooked. Wishing Tree is a secret contender for Manchester’s album of the year.